Surprise! 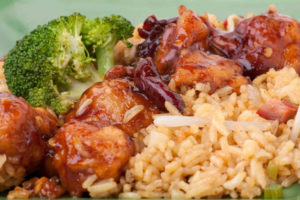 If you thought General Tso’s chicken was a dish that was made for American diners, then you will be delighted that it has its roots in China as well. What other examples of Hunan cuisine should you try next? If you think you’re brave enough, then you should try Hunan cuisine. This is a type of Chinese food that is actually more familiar than you think. So if you’re unsure what you want to have for dinner tonight, give these five dishes a try. Surprise! If you thought General Tso’s chicken was a dish that was made for American diners, then you will be delighted that it has its roots in China as well. A Hunanese chef named Peng Chang-Kuei invented it in Taiwan back in the 1950s. Although the Americanized version is much sweeter, the first versions of this dish were supposed to be a combination of garlicky, tart, and spicy. Known as Mao shi hong shao rou, this pork dish is still named after Chairman Mao after all this time. As the story goes, he was immensely fond of this braised pork belly that has been spiced with a melange of flavors such as star anise, various chilies, ginger, and cassia bark. Another type of Hunan cuisine, sweet and sour spare ribs should appeal to you, especially if you love this combination of flavors. These ribs are deep fried first and then smothered in a sweet and sour sauce with the pungent notes of vinegar. This chicken dish is one of the icons of Hunan cuisine. This chicken is covered in chilies and rice vinegar. It comes to us from a dish called cu ji, vinegar chicken, that dates back to the ancient Tang dynasty. But like all things, food changes over time. Another legend about the modern version of this dish is that three merchants came to a restaurant run by three old women. The kitchen was bare, so they went and served up some of the chickens they had left mixed with whatever they could find in their pantry. It became so popular that it is well known even today. After all of this heat, you’re going to need something to help your taste buds cool down. You should try some smacked cucumbers, also known as pai huang gua. These cucumbers are covered with garlic, chili flakes, and vinegar. You might want a second helping of plain cucumbers too, whether or not they are pounded flat with a cleaver. This technique helps the dressing soak into the cucumbers. This entry was posted on Friday, January 18th, 2019 at 11:40 am . You can follow any responses to this entry through the RSS 2.0 feed. Both comments and pings are currently closed.